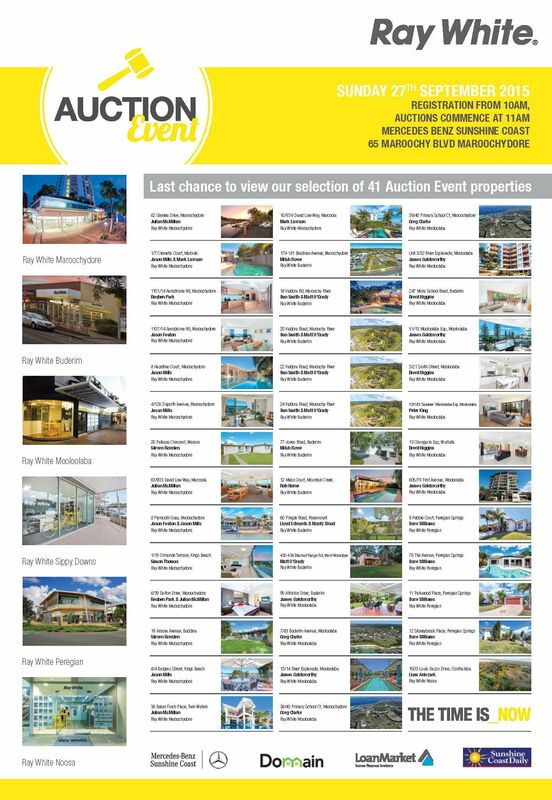 Please click below to see a complete list of properties available at the Auction Event 2015. Doors open for Registration at 10am. Mercedes Benz Sunshine Coast: 65 Maroochy Blvd, Maroochydore. © Ray White Noosa. Based in Noosa Heads.